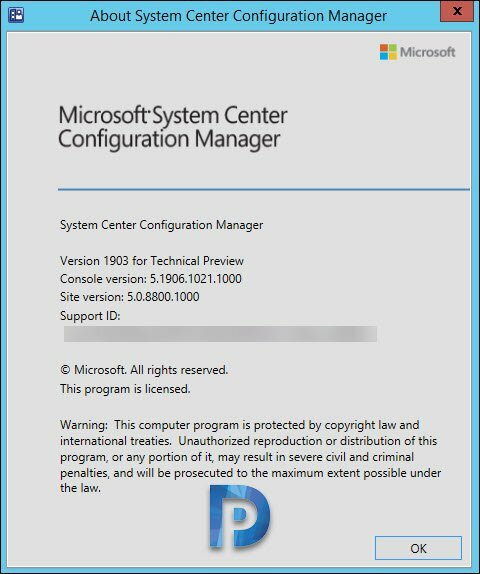 While IT pros are still figuring out what’s new in SCCM 1902, Microsoft released SCCM technical preview 1903. 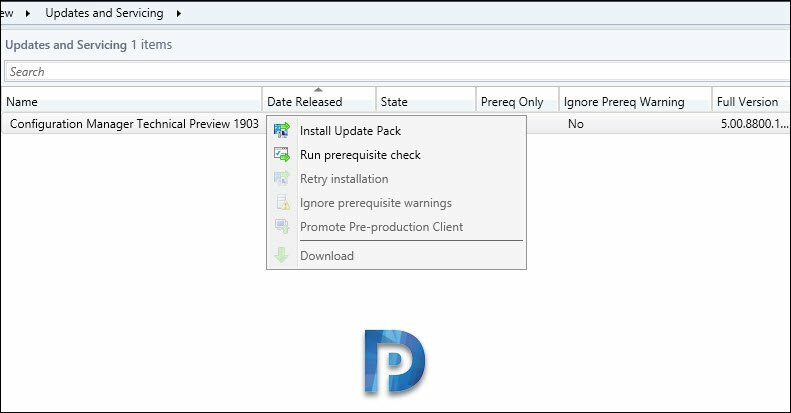 The technical preview 1903 introduces some new features and improvements over tech preview 1902.2 release. 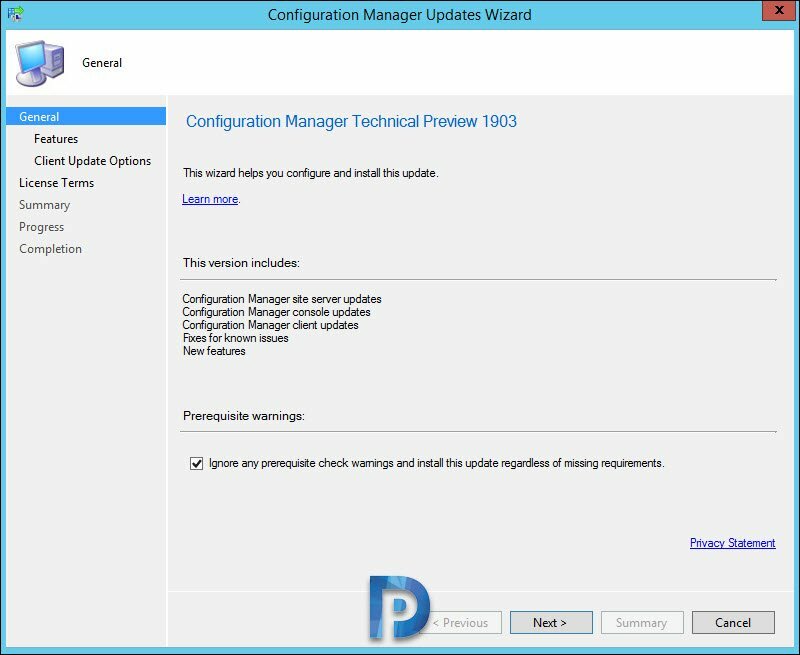 Let’s take a look at new features and improvements in technical preview version 1903 of SCCM. The technical preview releases and current branch release are not the same. The technical preview versions introduces new functionality that Microsoft is working on. Most of all, not all but only few features of tech preview versions make it to current branch. However with tech preview builds you get a chance to try out these features. Therefore do not install tech preview builds in production. They are meant to install in lab setup where you can test new features. To know build numbers of all the SCCM technical preview versions, refer this post. 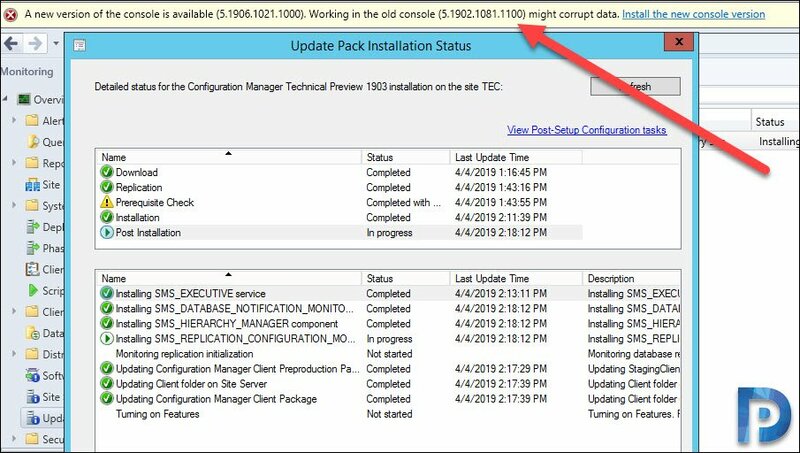 My current lab setup is running Technical Preview version 1902.2 and I will be installing SCCM technical preview 1903. If you are planning to install technical preview in your lab, first install a baseline version of the technical preview branch. After installing a baseline version, then use in-console updates to bring your installation up-to-date with the most recent preview version. If you are installing technical preview in your lab, here is a list of supported SQL Server versions. The Technical Preview version 1903 includes following features. There is a new cost estimator tool in the Configuration Manager console. The tool gathers the below data from your site database to estimate the cost of deploying the cloud management gateway. Those are Aggregate, average client usage of management points and distribution points and Azure pricing. More info about cloud services cost estimator is here. Under the distribution point properties you will find new options. 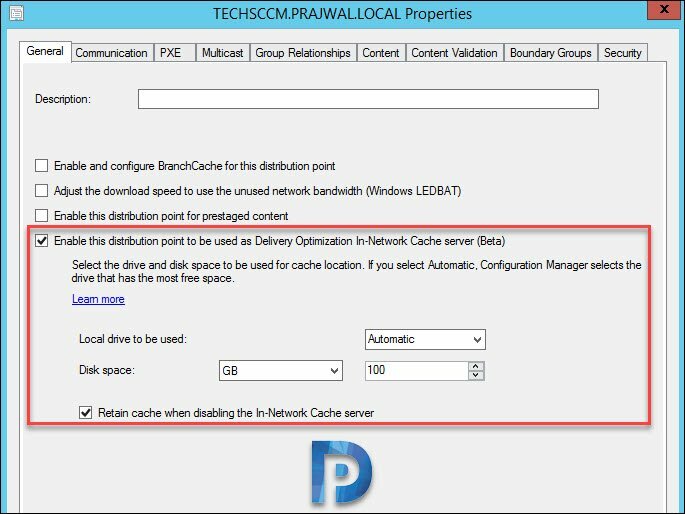 Enable this distribution point to be used as Delivery Optimization In-Network Cache Server. When you enable this option, you install Delivery Optimization In-Network Cache server on your distribution points. By caching this content on-premises, clients can benefit from the Delivery Optimization feature. This cache server acts as an on-demand transparent cache for content downloaded by Delivery Optimization. Use client settings to make sure this server is offered only to the members of the local Configuration Manager boundary group. Note – This cache is separate from Configuration Manager’s distribution point content. If you choose the same drive as the distribution point role, it stores content separately. If the SCCM console stops responding, you can be locked out of making further changes. This lock expires after 30 minutes. This lock is part of the Configuration Manager SEDO (Serialized Editing of Distributed Objects) system. This is an amazing feature. You can drill through the Compliance Statistics to see which devices require a specific software update. I will try this feature and provide more inputs soon. Meanwhile you can read about this feature here. 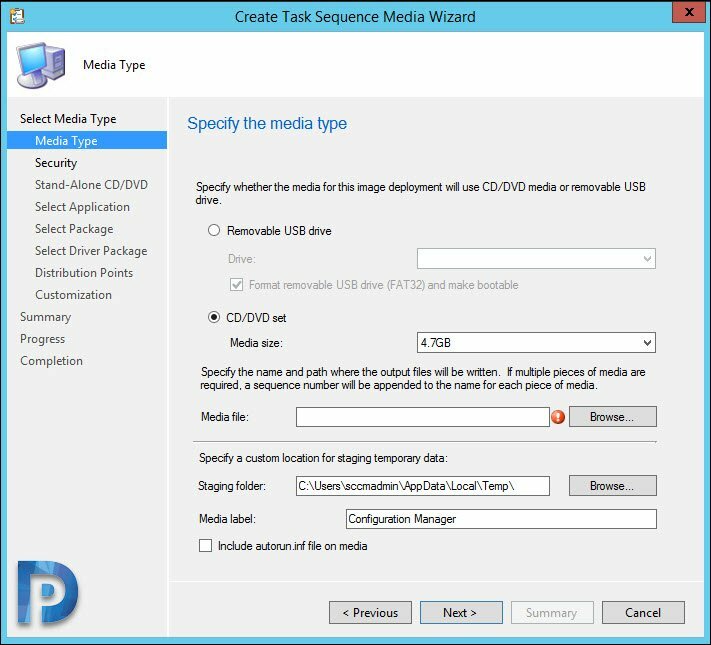 When you create task sequence media, SCCM doesn’t add an autorun.inf file. This is because we know that this file commonly blocked by antimalware products. However you can still include the autorun.inf file on media while creating the TS media. Navigate to Administration\Overview\Updates and Servicing. On the top ribbon, click Check for Updates. Wait for Technical Preview 1903 update to appear. 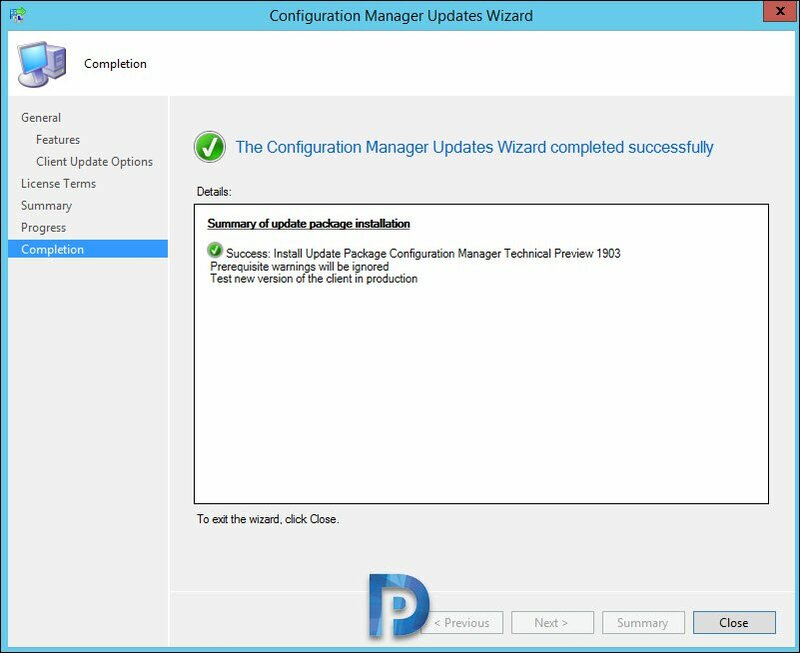 Right click Configuration Manager Technical Preview 1903 and click Install Update Pack. Since i am installing this update in my lab, I will choose ignore any prerequisite check warnings. Click Next. You can view the update installation status under Monitoring section. Seems like there is a change is the console upgrade. You may not get the console upgrade window when you close and open the console. Clicking Install the new console version begins the console upgrade. 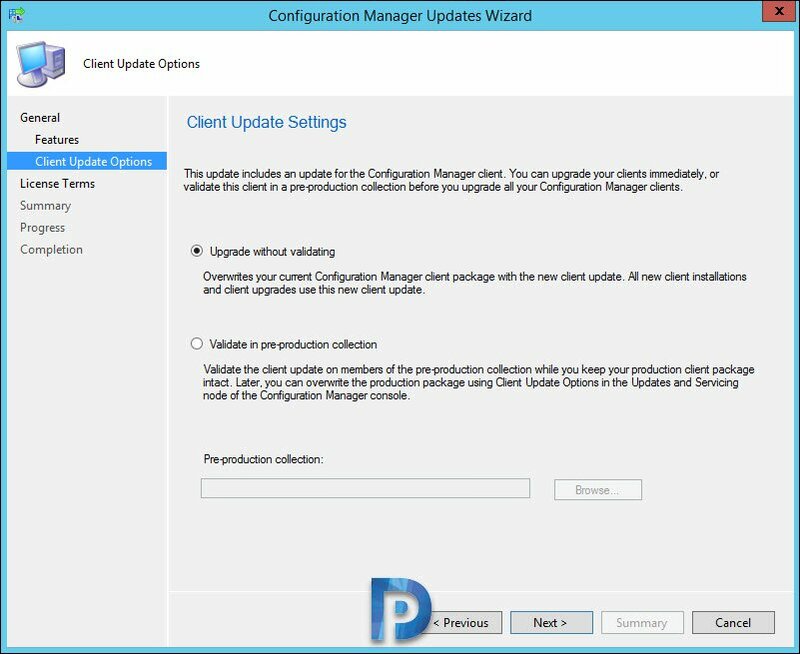 After console upgrade, you should find the below details in About System Center Configuration Manager window.